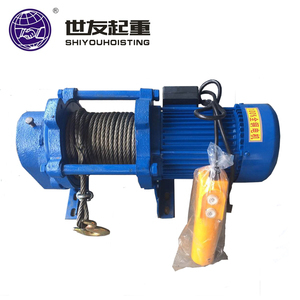 It consists of electromotor, transmission mechanism and winding drum or chain wheel. 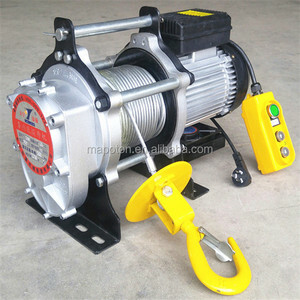 Features of Mini Electric Hoist: 1. Adopt urgent stop switch and reinforced breaking switch with position limit. 8. Simple structure, easy installation, small size, and single-phase power as a power source. 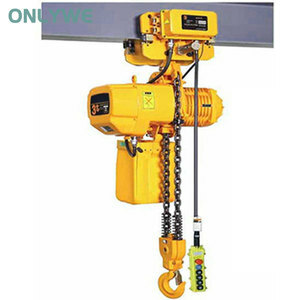 Henan ONLYWE Machinery Co., Ltd.
China made M5 M6 class IP55 protection free maintenance 250kg 500kg light duty electric chain hoist ALLMAN Europe model electric chain hoist overview , suspension type / with trolley type : ALLMAN Europe electric chain hoist technical parameters : Rated capacity (kg) FEM ISO MODEL POWER(KW) LIFTING SPEED (m/min) CHAIN FALL 250 3m M6 AMCH 1051 02508 0.75/0.18 8/2 1 250 2m M5 AMCH 1051 02516 0.75/0.18 16/4 1 320 2m M5 AMCH 1051 03208 0.75/0.18 8/2 1 320 1Am M4 AMCH 1051 03216 0.75/0.18 16/4 1 500 1Am M4 AMCH 1051 05008 0.75/0.18 8/2 1 500 3m M6 AMCH 2071 05008 1.9/0.45 8/2 1 500 2m M5 AMCH 2051 05016 1.9/0.45 16/4 1 630 1Am M4 AMCH 1052 06308 0.75/0.18 8/2 2 630 2m M5 AMCH 2071 06308 1.9/0.45 8/2 1 630 1Am M4 AMCH 2051 06316 1.9/0.45 16/4 1 1000 1Am M4 AMCH 1052 10004 0.75/0.18 4/1 2 1000 1Am M4 AMCH 2071 10008 1.9/0.45 8/2 1 1000 2m M5 AMCH 5091 10016 3.5/0.88 16/4 1 1600 2m M5 AMCH 2072 16004 1.9/0.45 4/1 2 1600 2m M5 AMCH 5091 16008 3.5/0.88 8/2 1 2000 1Am M4 AMCH 2072 20004 1.9/0.45 4/1 2 2000 2m M5 AMCH 5111 20006 3.5/0.88 6.3/1.6 1 2000 1Am M4 AMCH 5111 20008 3.5/0.88 8/2 1 2500 2m M5 AMCH 5092 25004 3.5/0.88 4/1 2 2500 1Am M4 AMCH 5111 25006 3.5/0.88 6.3/1.6 1 3200 2m M5 AMCH 5112 32003 3.5/0.88 3.2/0.75 2 3200 1Am M4 AMCH 5092 32004 3.5/0.88 4/1 2 4000 1Am M4 AMCH 5112 40004 3.5/0.88 3.2/0.75 2 4000 2m M5 AMCH 5112 40003 3.5/0.88 4/1 2 5000 1Am M4 AMCH 5112 50003 3.5/0.88 3.2/0.75 2 7500 1Am M4 AMCH 5113 75002 3.5/0.88 2.1/0.5 3 ALLMAN Europe electric chain hoist advantages : Brand new simple design Fully enclosed body New die-cast aluminum shell Light self-weight Efficient motor , efficient transmission Free- maintenance Easy operation , portable and practical Long service life Safe and reliable ALLMAN Europe electric chain hoist special high configuration details : working class M4~ M6 protection grade : IP55 dual speed lifting , and dual speed traveling trolley with safety clutch, overload protection with electric limit switch for both up and down high strength aluminum alloy body shell , steel alloy sprocket wheel ABM design motor , IP55 , F solution grade Germany electronic magnet brake , long life use , up to 1 million times use Germany Rud galvanized load chain Schneider brand contactor and push button original made in France Gears are free maintenance for 10 years Detailed Images Europe model electric chain hoist production line : All the hoist motors are manufactured in ourself factory , and spare parts are well protection packed , to avoid damage during transportation , ensure the spare parts quality : All the chain wheels and covers are strictly tested by world famous testing equipment , to guarranty the size with exactly correct precision before assembly : ALLMAN lifting equipment packing & shipping : More lifting equipment you can get from us : Product Categories company profile ALLMAN Exhibition CE certifications quotation elements contact us Thank you very much for viewing this page, and wish you a nice day! Please click the button below to view our homepage. The product quality is strictly produced according to European Union En1677-1 and the American CROSBY international advanced level. 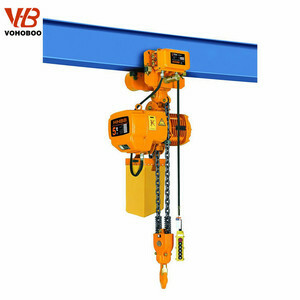 The company is in the leading position in plant capacity,quality of products,product variety,product variety and so on. 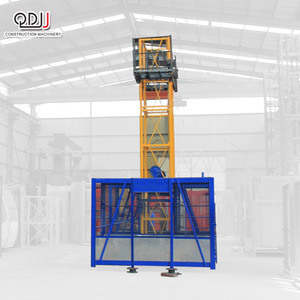 The products are widely used in port,electricity,steel,shipbuilding,petroleum,mine,railway,large transport, spaceflight,rescuing at sea. 2 Motor Adopt the Side Magnetic Series YEP Braking Motor. 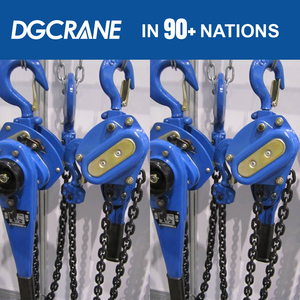 Thus transmission with low noise and high efficiency is guaranteed. 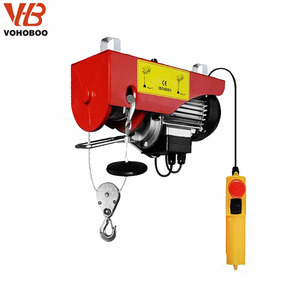 5 Side Magnetic Braking Device Allows instant brake as soon as the electric power is cut off. 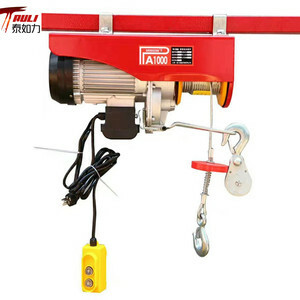 Changshu Seagull Crane & Hoist Machinery Co., Ltd.
Hebei Mutian Hoisting Equipment Manufacturing Co., Ltd.
Foshan Lomba Lifting Machinery Co., Ltd.
Henan Lugang Crane Co., Ltd.
And the load chain must be made sure that it could not break When the full load was lifted. 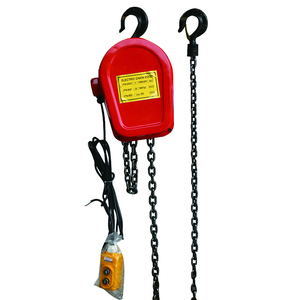 ,Ltd was founded in 2005, and mainly produce chain hoist, electric hoist, mini electric hoist, hoist, lifting chain, lifting sling, lifting machinery equipment. The company has a complete and scientific quality management system.